JPRO is a professional diagnostic software. -Displays fault codes for all components on the supported data bus protocols. -Displays manufacturer flash codes and descriptions for faults when available. -Provides key data points in graphical displays for vehicle and components. -Prints reports containing faults and key data. -Automatically displays all component parameters of interest in the Data Monitor. -Search, sort or filter capabilities to easily identify parameters of interest. -Graph parameter changes over time. -Automatically detects OEM applications and provides convenient methods to launch them. -Diagnoses all vehicle components in a single application. 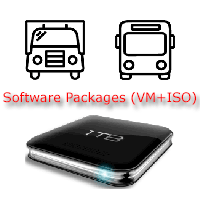 -Automatically connects to all supported and available data buses on the vehicle. -Vehicle Readiness List displays information about each identified component. -Troubleshooting information to help resolve issues connecting to a truck. -Easy access to JPRO DLA+ Adapter Family test tools to aid in diagnosing connection problems. -Links to contact Noregon support or sales from within the application. -Ability to perform customized Preventative Maintenance Inspections. Inspection available in XML format as well as in PDF report format. -Ability to configure the application to launch at computer startup. -Demo mode in Vehicle History enables users to explore JPRO features quickly and easily without needing access to vehicles. -Access to ‘What’s New’ document showing all supported features from the Connection Selection and -Help menu. -Ability to automatically switch between USB or Wireless when connecting with a DLA+ Wireless or DLA+ 2.0 Wireless adapter.